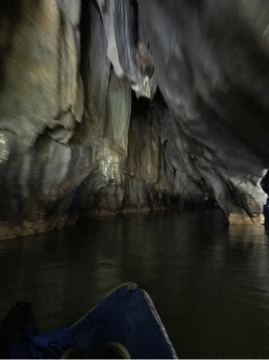 The subterranean river tour is a must to see. The ships passengers should be accommodated first due to limited number of local boats. Don't worry about sea sickness, worry about the trip out to here!! It's a LONG drive and a hairy one. It was an interesting site to see and learn about. 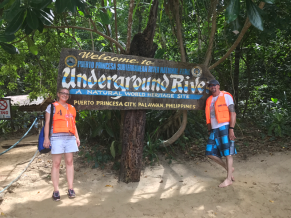 Amazing excursion to the underwater river and caves - a must! Here we cruised Honda Bay Island aboard a motorized banca. We stopped at two beautiful white sand beaches for a picnic lunch and swimming and snorkeling. The waters were calm, clear & warm. We took underwater photos with our Go Pro camera. I should warn you that it was a bit difficult to board & disembark the bancas. If you have aqua shoes bring them or wear the ones provided. You will need them. On our way home we stopped to shop in the marketplace near the ship. 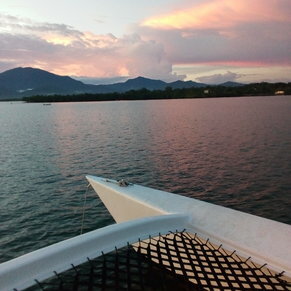 There are currently 0 discussions about Puerto Princesa, Philippines.